Most people know a neighbor, friend, or family member who provides full-time care for a grandchild. 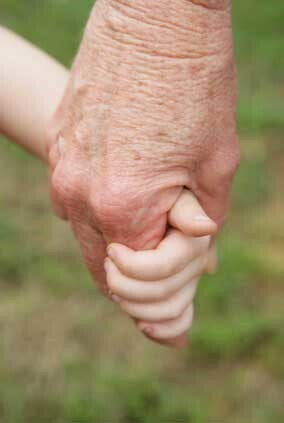 In fact, grandparents raising grandchildren is a growing trend among families in the US. According to the AARP, nationwide nearly 5.8 million grandchildren live with their grandparents, and it is estimated that over 2.5 million grandparents are raising their grandchildren. Almost 1 million children live in a home where a grandparent and neither of the child’s parents are in the residence. According to the 2010 U.S. Census, 99,783 grandparents in Illinois are householders who are responsible for the grandchildren that live with them. 7.8 percent of children in Illinois reside with their grandparents in situations where the grandparents are the householders. 109,939 children in Illinois reside in such households where the grandparents are responsible for the children. Of those, 35,583 Illinois children have no parents in the home at all. In some circumstances, grandparents are obtaining custody or adopting their grandchildren. However, the more common scenario is that grandparents are being appointed as legal guardians over their minor grandchildren. If you are a grandparent and you feel that it may be necessary to seek a guardianship of your minor grandchild, what should you do? First, you should understand that as a grandparent, you do not have the same rights to the children as the natural or adoptive parents. Second, seeking a guardianship is different from seeking regularly-scheduled visitation time with the children. If a child’s parents are not allowing grandparent visitation, a grandparent may be able to petition the court for grandparent visitation pursuant to Illinois Marriage and Dissolution of Marriage Act. However, this post will focus on when a grandparent seeks guardianship under the Illinois Probate Act of 1975, rather than visitation. Under the Probate Act, there are several requirements and steps to being appointed as a guardian of a minor. First, the law defines a minor as “person who has not attained the age of 18 years.” This is important, because there is a separate section of the law for guardianships of adults with disabilities. The law defines who can act as a guardian: an adult US resident of sound mind who has not been convicted of a felony and who does not have a disability. In order to qualify to seek guardianship, a grandparent must meet these requirements. Any parent may sign a document designating a qualified person to be appointed as the child’s guardian in the event that parents die or otherwise become unable to care for the child. A parent can also name a successor guardian, in the event the first-named guardian becomes unable to act. In order for this designation to be valid, two or more unrelated people must witness the designation, and if it is executed properly, it should be valid in a Court of law. If a parent makes such a determination, this will not affect his or her rights as a parent. If a child’s parents are alive, but a grandparent nevertheless believes a guardianship is necessary, the grandparent must file a petition for the appointment of a guardian. A common example is where a grandparent feels that their grandchild is in danger in the care of a parent, or that the parents are not willing or able to care for the child. The Court can also appoint a guardian of the minor, on its own motion. Petitioning for guardianship of the child is a multi-step process, and the first legal hurdle will be to establish that the Court has jurisdiction to proceed on a petition for the appointment of a guardian of a minor. The Court will not have jurisdiction if the child has a living parent whose parental rights have not been terminated by a Court, whose whereabouts are known, and who is willing and able to make and carry out day-to-day child care decisions concerning the minor. The law creates what is called a rebuttable presumption that a child’s parent is willing and able make and carry out day-to-day child care decisions. This means that the parent is naturally presumed to be able and willing to care for his or her child, absent evidence to the contrary. However, the law also provides that this presumption may be rebutted by a preponderance of the evidence. If a grandparent can show that the child’s parent or parents are unwilling or unable to make and carry out day-to-day child care decisions for the child, they can overcome this burden to establish jurisdiction. If they cannot do this, the court will not have jurisdiction to hear and decide the case. If a grandparent can provide sufficient evidence to prove that the parent is unwilling or unable to care for the grandchild, and the Court makes such a ruling, they have overcome the first main hurdle. From there, the grandparent faces an additional hurdle of proving that guardianship is in the child’s best interest. A court must hold a bifurcated hearing to rule on these two issues. First, the court must determine whether the parent(s) are unwilling or unable. After making that determination, the court must determine whether it is in the child’s best interest that the petitioning grandparent be named as that child’s guardian. It may sound backward to first decide whether a parent is unable or unwilling to care for a child, before considering whether it would be in the best interests of the child to appoint a grandparent as the child’s guardian. However, the law takes very seriously a parent’s rights, and this two-step method is intended to those parental rights. The court must first decide guardianship is necessary before it decides whether it would be a good idea. If you are a grandparent seeking guardianship of your minor grandchild and you need assistance understanding and navigating this area of Illinois law, please contact us.